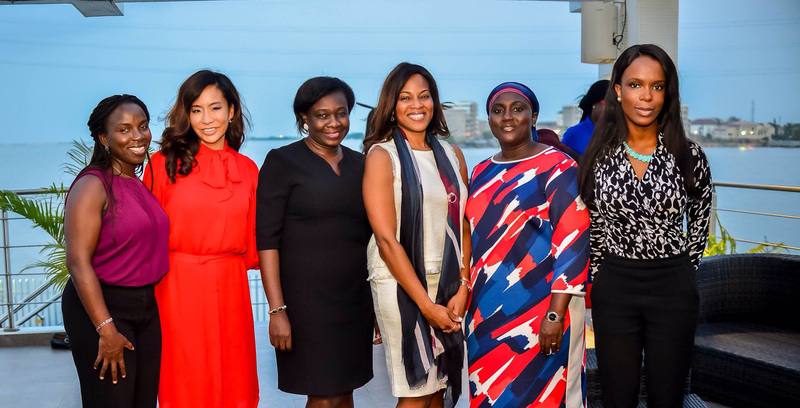 The Private Equity Women Investor Network, a global networking organization for senior women in private equity, with chapters in the US, Europe, Africa and Asia, has now expanded to Nigeria, following the formal launch of PEWIN Africa earlier in the year, in South Africa. The invitation-only members organization, which was founded in 2007 in the United States, has been expanding internationally, opening London and Hong Kong chapters in 2015 in its first international expansion move. Future expansion on the continent will include Cote d’Ivoire and Kenya. On 10 November 2016, PEWIN hosted an Africa Institutional Investor Roundtable in Lagos, Nigeria. This event was attended by nearly 30 senior women investors representing pension fund administrators, fund managers, development finance institutions, insurance companies and other stakeholders focused on private equity. The purpose of the event was to bring into focus the role of private equity, not only as a developmental tool for the country at large, but also for women in Nigeria. The theme of the roundtable discussion was, “Will Private Equity Save Nigeria?” and speakers included Mrs. Titi Lawani, CEO of Progress Trust CPFA, Ms. Eme Essien, Country Head IFC, Ms. Abimbola Sulaiman, Head of Investments, PAL Pensions PFA and Mrs. Ijeoma Agboti-Obatoyinbo, a senior private equity advisor. PEWIN’s expansion in Africa comes as the investment management and private equity industries are increasing their focus on how to boost the number of women working in the industry, which is one of the most male-dominated areas of financial services. The recently published McKinsey Women Matter Report also underscores this point on gender diversity in the workplace in Africa. According to the report, women are under-represented at every level of the corporate ladder, and fall in number the higher they climb as only 5% of women make it to the top. Joanne Yoo, Co-Chair of PEWIN Africa and MD of CBO Investment Management states, “This event has taken place at a critical inflection in Nigeria where PE can truly play an important role in mobilizing long term capital into local businesses. We have observed that are many women in senior decision making roles who have the ability to make significant impact on the Nigerian economy.” This theme is also reflected in a recent piece published by the Financial Times and coauthored by PEWIN members, Aubrey Hruby and Joanne Yoo, titled “The Missing Middle in African Private Equity”. The Private Equity Women Investor Network (PEWIN) is an organization that provides an intimate forum for senior women general partners, limited partners and private equity professionals to network, share investment ideas, explore potential opportunities to work together and generally increase the profile of female leaders in our industry. Founded in 2008, this invitation-only group currently has approximately 400 members globally at the most senior levels of their respective firms. PEWIN has also become a natural network for its many women CIOs and hosts several high profile CIO Roundtable events throughout the year in various locations where our members gain unprecedented access to this elite group of women leaders in the industry.